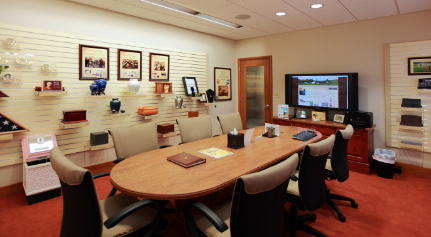 Our funeral home opened in 2012. 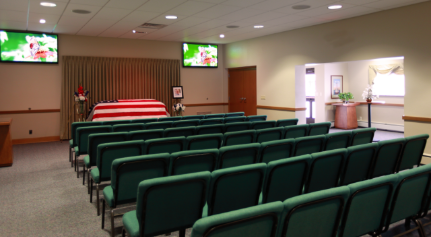 It includes two spacious chapels for funeral and memorial ceremonies, including the Urban J. Schumacher Memorial Chapel, a variety of tastefully appointed rooms for family and visitors to gather, and a large-well-lit parking area. At our funeral home, we have space for you to gather with family and guests and enjoy refreshments before or after a service. We offer several catering packages for your convenience, or you can make your own arrangements. Learn more about reception options here. 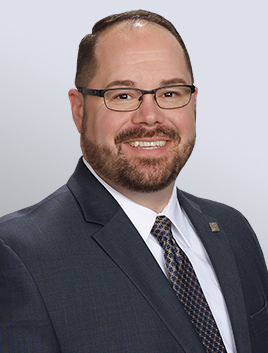 Shawn M. Smith, Managing Funeral Director is a native of Escanaba, Michigan. He is a graduate of the Cincinnati College of Mortuary Science, where he received the Homer D. Leffler award for excellence in Funeral Directing. Shawn is a veteran of the U.S. Army where he served in Mortuary Affairs both stateside and overseas. While stationed in Virginia he attended the Virginia Institute of Forensic Medicine and Science where he studied Covert Burial Operations for the Army. While overseas in South Korea he worked with CILHI in an expedition to both recover and repatriate MIA military personnel who died during the Korean Conflict. He is a member of the American Legion Sullivan-Wallen Post 11, Fraternal Order of the Elks, and the V.F.W. Shawn is especially committed to remaining active within the Green Bay Community. In his spare time Shawn enjoys traveling, the outdoors, spending time with family and friends, and time at the lake in Northern Wisconsin. Shawn brings over 20 years of experience in the funeral industry. He is also an avid Green Bay Packer fan!